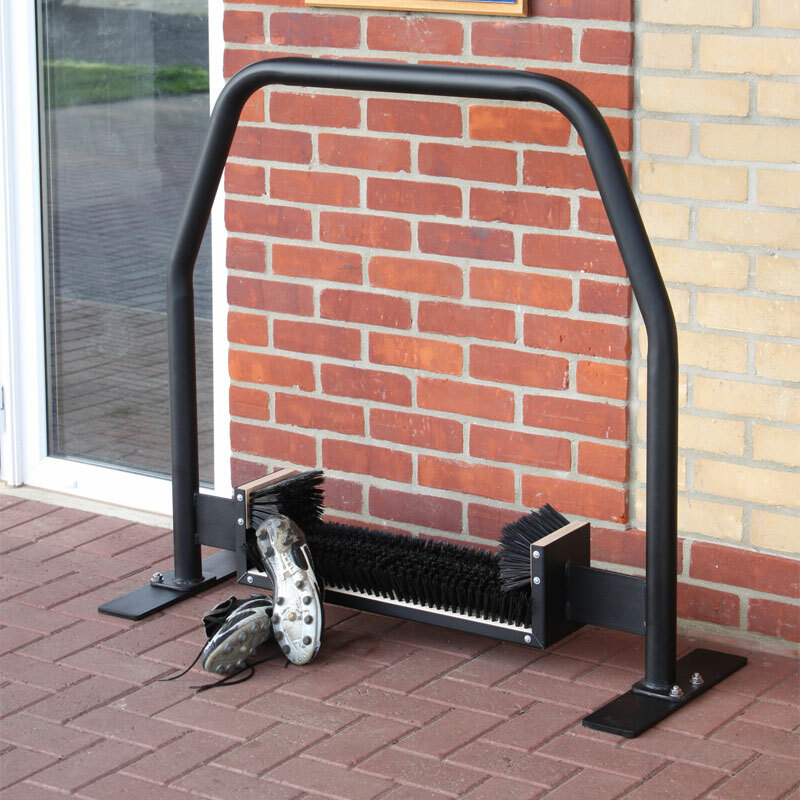 The Harrod Sport ® Premier Freestanding Boot Wiper is designed for single person use outside communal changing areas. The Premier Boot Wipers are extremely sturdy and hard wearing. 2 x Large Brushes (4 Large Brushes if purchase 1.75m unit). Polyester powder coated matt black.Fully freestanding, 1m out of ground height. Complete with 2 freestanding plates and fixings. Lost the instructions for your Harrod Sport ® Premier Boot Wipers? Please Click Here to download a new copy.